As more and more organizations are gathering the data for better market analysis and understanding the complex human behaviors the data is sitting duck for the cyber hackers and can result in very heavy losses if stolen or fall into the wrong hands. Therefore, it is very important to have a proper security around such large volumes of data in order to protect them from falling into the hands of hackers. Below are mentioned some of the best practices which can help companies in defending their data against the malicious attacks of the attackers. Before your company even began to think about the security in terms of NOSQL or Hadoop it is very important that all the physical assets like computers, laptops, printers etc. and the internal network of the company is protected from outside attacks. It is very important to have a well-defined security structure inside the company. It is the duty of the company to have clear set of defined responsibilities for the executives; back-up plans in case of a breach and a fail-safe protocol to tackle outside intrusions and all of these plans must be tested and refined continuously. Apaches Hadoop is very popular among the companies for storing the big data but sadly, by default hadoop runs in a non-secure mode. Service level authentications must be turned on so that Hadoop users can be verified by a very secure method known as the Kerbores. 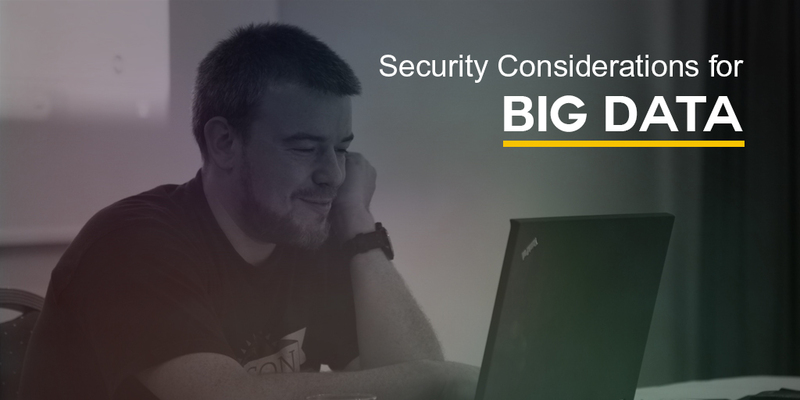 Many of the Hadoop major providers also offer additional security solutions which can be implemented such as authentication, authorization and many more which can be implemented very easily. As of now the work is in progress. The providers of the relational database offers checklist for the security threats. It is in the best interest of the organization to follow that list and safeguard their data. These databases entirely store the data in the main memory, which is the ideal approach for analytics, social-networking and e-commerce systems and for other data-intensive applications. They also have the built in security features but the concern here is the IT infrastructure because according to the best security practices the server and the application must run on the different servers located in two independent networks. Also, check the guide for the in-memory databases for the more secure configurations. Cloud based file sharing system such as Dropbox are already popular and will gain more popularity as big data tap into these systems for storing and analyzing the information. The big role in such services is played by the IT team of the organization which decides how the public cloud services will be accessed. What are the Core Strategies for Successful Big Data Analysis Breakthroughs?